A few weeks ago, we deliberately unsubscribed 250,000 people from HubSpot's Marketing Blog -- people who had opted in to receive emails about new content we published on the blog. This subscriber purge brought our total subscriber count from 550,000 down to 300,000. We're crazy, right? We must be crazy. We're the same people who just recently blogged about how important growing subscribers is to increasing blog traffic. What gives? Graymail is email you technically opted in to receive but don't really want. Graymail is kind of like spam's risk-taking but law-abiding cousin. It's not against the law like spam is, but it's also not as pure as spam's straight-edged cousin "ham" (which is apparently what they call email that people actually want to receive). I guess that's why some people call graymail "bacn" (bacon). Email deliverability experts can be so clever, huh? Here's an example: Let's say you signed up for an ecommerce website's email list because doing so got you a 15% off coupon for a fishing pole you bought for your brother as a birthday gift. But you're not into fishing yourself, and now you're getting emails from them that don't interest you. That's one type of graymail. It's not considered spam because you signed up for it, but you're still not likely to engage with it. Although it's not considered spam, sending graymail is problematic because it can hurt the deliverability of your email overall. 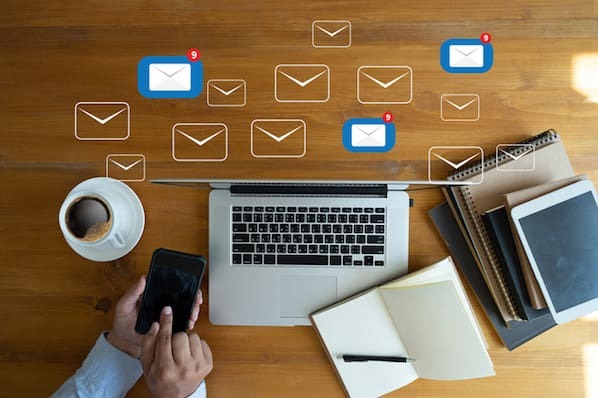 Tipped off by low engagement rates, email clients may deliver email from known-graymail senders straight to recipients' "junk" folders ... even for brand new subscribers who haven't even had the chance to engage with your email. In other words, the email technically gets sent (and delivered), but it's not necessarily seen. Well, as it turned out, the HubSpot Marketing Blog had a bit of a graymail problem on our hands. Our email deliverability team wasn't mad, but they were disappointed. So we took action. The first thing we did was set up a workflow using HubSpot's Workflows App that automatically unsubscribes people once they hit a certain threshold of unengagement -- specifically, the workflow unsubscribes someone from the Marketing Blog if they haven't clicked on an email from us in the last six months. While it was a slightly more aggressive approach, we chose "clicks" over "opens" as our criteria for engagement since open rate is an unreliable email marketing metric. Our workflow also triggers an email to these unengaged recipients to let them know they're getting unsubscribed, and attempts to re-engage them. As you already know, this workflow unsubscribed about 250,000 unengaged subscribers right off the bat. It also continues to unsubscribe people as they become unengaged, strengthening the quality of our email list and helping to prevent the ill-effects of graymail. If you think we didn't have anxiety about unsubscribing 45% of our list, you're dead wrong. But once we got over the sticker shock, we realized there wasn't really anything to be worried about. After all, 550,000 subscribers is nothing but a vanity metric if 250,000 of those people aren't actually engaging with your content. And the people we were unsubscribing hadn't clicked through to our blog from any of the emails we'd sent them over the course of the last 6 months, so we weren't at risk of losing any email traffic. Shortly after we activated our unengaged subscriber workflow, Marketing Blog Manager Ginny Soskey also made the decision to completely eliminate the Marketing Blog's instant subscription option, which had been sending instant subscribers a separate email for each new post we published. Instead, she moved those instant subscribers over to our daily subscription, which sends a once daily round-up of our best new posts. When we made the switch, we also sent an email to our former instant subscribers to let them know we were discontinuing our instant subscription in favor of our daily email, and that their inboxes would be a little lighter for it. We did this for several reasons, but I'll highlight a couple of the major ones here. For one, the graymail problem. Because of the volume at which we publish to the Marketing Blog, we were sending over four emails per day to our instant subscribers, which at the time consisted of about 10,000 people. That's a heckuva lot of email, which leads me to my second point. 4+ emails per day isn't a very lovable amount of email. In fact, it's a very unlovable amount of email. What if we ever decided to increase our publishing frequency? That would mean we'd be sending even more email. Consolidating all that into one daily email that includes our best content was logical and lovable. Compared to the unengaged workflows we set up, getting rid of our instant subscription was a riskier move because. We didn't want to sabotage the traffic we were generating from our instant subscribers. 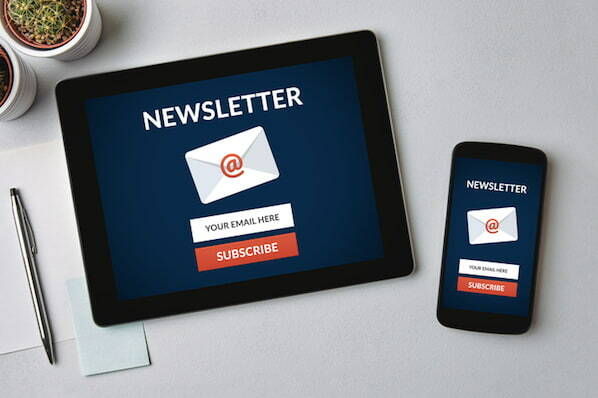 Would fewer emails to our former instant subscribers lead to less blog traffic? We didn't want to upset subscribers who actually liked receiving multiple emails per day about our latest blog content. On the traffic front, we basically broke even. Sending just one email per day instead of multiple emails didn't translate into less traffic to the blog from email. This wasn't that surprising to us, because in order to lose traffic, lots of subscribers would've needed to be clicking on more than one email per day, which was an unlikely scenario. We knew that was an unlikely scenario because we did our due diligence and analyzed the traffic to our blog from our instant emails before we made the decision to discontinue that subscription option ... just to be safe. "Thanks for giving me some breathing room. I can use it." "Thanks for that. I was close to ending my subscription, to be honest :-) But now, never." "This is a much better solution for me. Thanks for practicing what you preach to make my experience better." People like being in control of their own inboxes. Of the blog emails we send them, they like being able to choose which ones to click on, and which ones to delete. Some people genuinely like to read every email/blog post we send them. Time to Reinvent Blog Content Distribution? While most people were in favor of our switch to fewer emails, the reasons some people were disappointed shed light on an opportunity for improvement on the blog content distribution front. In other words, there's got to be a better way to give these subscribers what they want than by flooding their inboxes with email messages. For blogs, content distribution to subscribers has always boiled down to either email notifications or RSS, but is there a better way -- particularly when it comes to instant notifications? For instance, what if there was a way to automatically send instant subscribers a tweet whenever a new post was published? Could someone invent a completely new platform or tool that helps to solve this problem? Perhaps better personalization is the solution here. If people want to have control over their own inboxes, maybe offering more robust subscription options is the answer, allowing subscribers to decide which types of blog content they were emailed about. If people were able to subscribe only to the content they're interested in, instant email notifications would become much more tailored to the subscriber and a whole lot more valuable as a result.